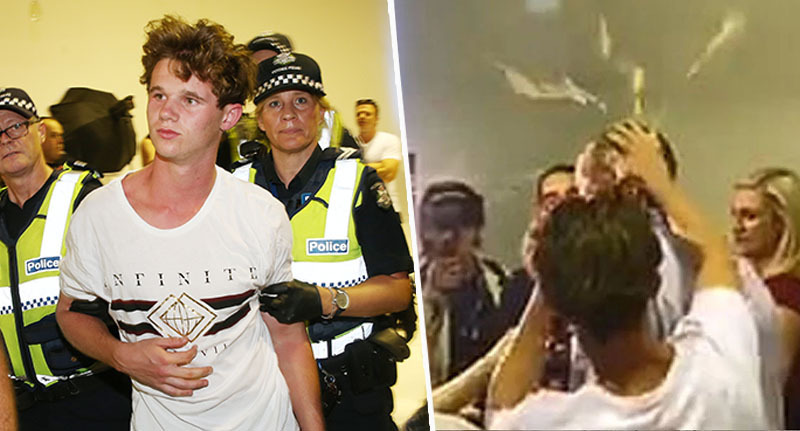 The teenager who’s come to be known as ‘Eggboy’ says he’s been left shaken by his new found fame, after he smashed an egg over the head of an Australian politician. Will Connolly, from Victoria, rose to notoriety after footage of him hitting Senator Fraser Anning with an egg went viral on Saturday (March 16). The 17-year-old has been hailed a hero by many people, with murals appearing in his honour. People have been praising Connolly for standing up to Anning, who – after the horrific act of terrorism in Christchurch in which 50 people died – made a statement saying ‘the real cause of bloodshed’ was ‘the immigration program’. Anning basically blamed Muslims for innocent Muslims being killed, some as young as three years old, by a white supremacist. Connolly unfortunately took a few blows to the head after egging Anning, and was even put in a headlock by some of Anning’s team. Connolly was later escorted away by police, and has urged others not to do the same. The teenager wasn’t alone in his views towards Anning however, and since the incident, more than a million people have signed a petition demanding the Australian Senator be fired. Public support for Connolly, aka Eggboy, has not stopped growing either, and in just two days a GoFundMe page has raised – at the time of writing – almost $50,000. Connolly has since said the money raised will be sent to the victims of the terrorist attack. I’m not ok with the kid in Australia egging a politician. It was not ok when someone did it to Jeremy Corbyn last week, and I don’t think it’s ok to do it to Fraser Anning. It makes him a victim, and emboldens his supporters. Take him down with wit, rules and due process. Speaking to 9news, Connolly’s parents have said their son is ‘overwhelmed’ by the huge response his actions have had, adding he’s been left ‘shaken’ by the incident. Despite the huge public backlash after his misguided comments about the shooting – and physical reaction to Connolly, which he called ‘self-defence’ – Anning has unsurprisingly refused to apologise. Since the horrific attack, New Zealand Prime Minister Jacinda Ardern, backed by her cabinet, has announced the country will be tightening its gun laws. If you’re concerned and need to contact a friend or relative please visit the International Committee of the Red Cross, who have set up a website by which you can restore links and register your own safety.